2017-05-31 - Return to Glory! We're coming up on the deadline for the Can-O-Beer Run on June 24. Trust me, you don't want to miss this event. We've partnered with the World of Beer to offer up an unbelievable day of beer, games, and fun. The cost is $125 per person and will include 3 meals, 10+ beers, games, and the chance to win up to $3000. 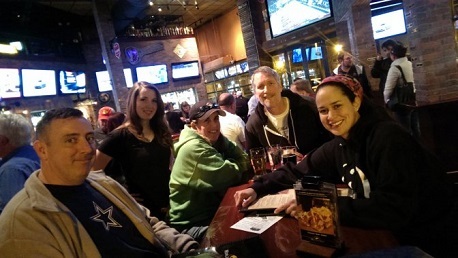 If you want to sign up, like all the cool kids, just talk to your friendly server or bartender at WOB, or email the PubGuys using trivia@pubguys.com and we'll get you squared away. Congratulations to our winners, and thanks to everyone for coming out. For that bonus point, simply write down "I love you Kyle" in the bonus slot on your answer sheet. He'll be happy to give you a bonus point for that. The scavenger hunt point will return soon enough. See you again in a couple weeks!